Welcome Back to Monday Motivation! This week I am continuing to have fun with the insanely talented Susan on Instagram with scrap busting ( hashtag #bescrappy). 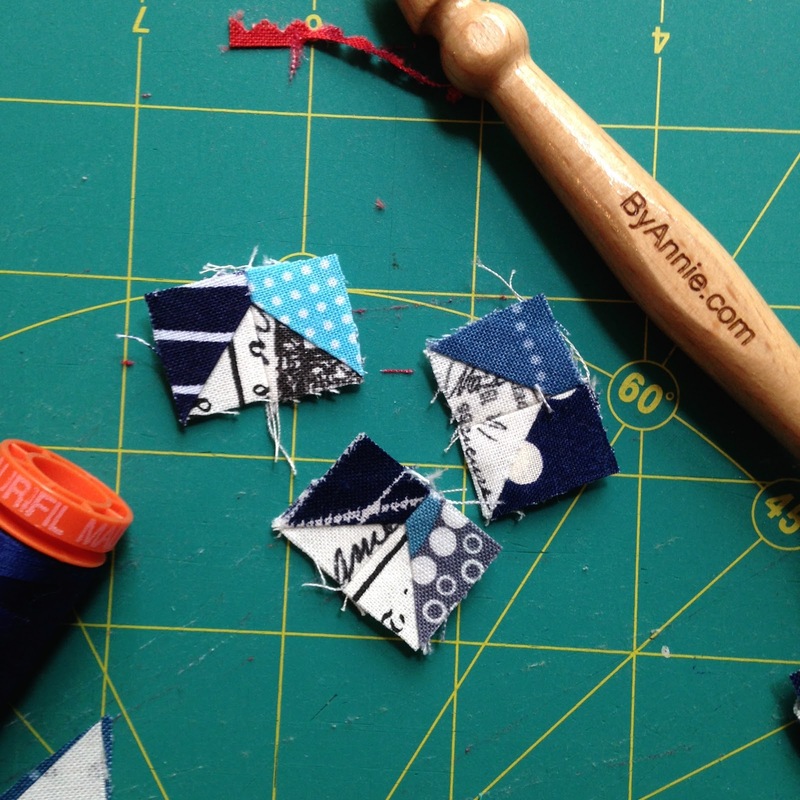 This week we are tackling the blue scraps! 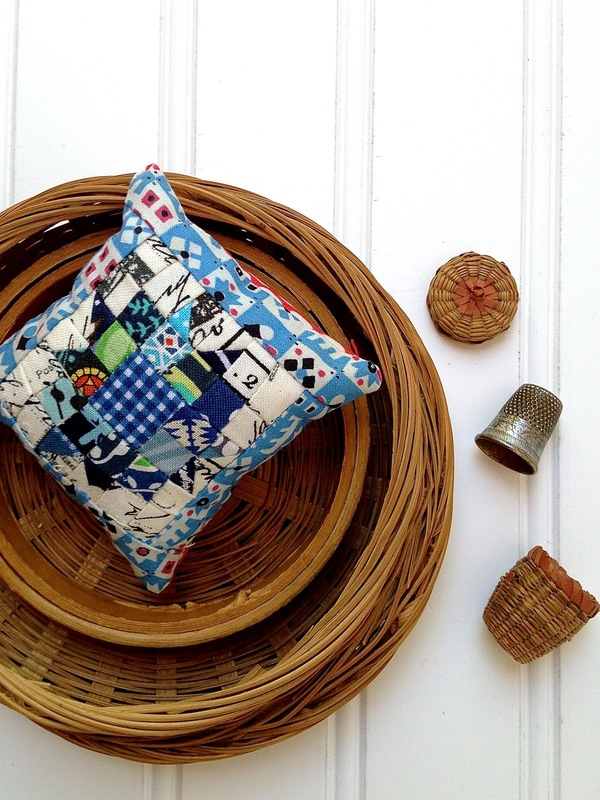 I decided to use some of my most tiny scraps to create a Maple Leaf pincushion! It measures a wee 2.5 inches as a block and the center square is only 1inch. And finally...WOOT WOOT! Check out my progress from last week! 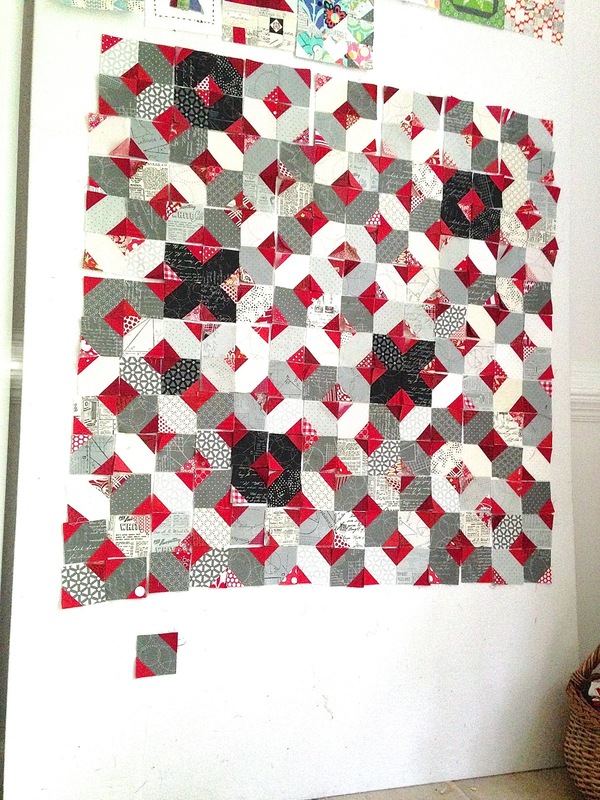 For this quilt, I created a quick and easy free tutorial for making this beautiful block. Love fast quilts! Don't you? I made quite a bit of progress before going back to painting and am looking forward to finishing this lovely quilt that will be 35x35. I perfect floor quilt for a baby or a nice small picnic quilt! Hope you will get motivated to start sewing up your scraps and join us on Instagram adding the hashtag #bescrappy to share what you are doing :o) Every week we will be trying to whittle down another color pile to attack those scraps!